Busy First Week! - The Resourceful Room! It's been such a busy week for me, I didn't even get around to posting anything here! I began Monday morning at 7:30 with meetings all day, and the kiddos came on Tuesday! I was greeted that morning by these beautiful flowers and a lovely note from my co-workers telling me how glad they were to have me in their building!! It was such a nice way to begin the year!! I love all of my co-workers and students! I can't tell you how blessed I feel to be here! If you've been reading awhile you will understand what I'm talking about!! I have 7 students on my caseload at this point! They are in 5th and 6th grades, yep I am teaching 2 grade levels! I have a para who will assist me!! I have my own classroom. 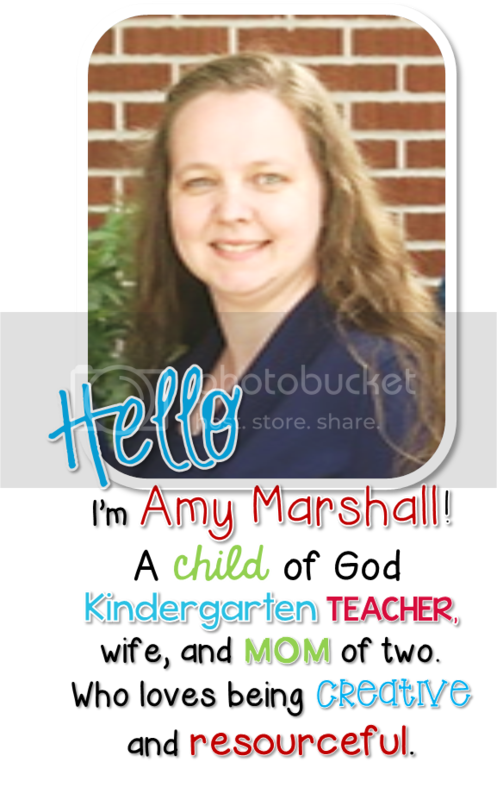 I will teach math and reading at each grade level, then offer support in the classroom at other times. I am having a great time planning lessons for this week and hope to share some of what we are doing tomorrow. I also want to share with you my data collection system and data board but I forgot to take pictures so look for that later this week as well. Thanks for all your kind words about my classroom! I hope your all enjoying your Saturday, I'm off to finish requests for binders and calendars (sorry if your still waiting - like I said busy week! We also had a kids krusade at our church every night from 6-8 that I helped with) and read the 1000+ posts in my google reader right now! I didn't share my blog with my coworkers either. When I thought about it, I did start to go back and re-read everything too! I like your plan for supporting your kiddos. Last year I had 11 IEP kids and 20 RTI tier 3 kids and so thigns got a bit hectic... I can only imagine how it will look this year, but I love them all!! I have not shared my blog with my coworkers however I doubt any of them would look at it anyways! I love them all but they are an older crowd and technology is not their friend, I have to walk them through their math program frequently hahaha. I think it's kind of nice to have a seperate place to collaborate with others and not feel like you can't share things about your day that may have been tough because let's face it, husbands just don't always get it! Ps... I am really excited to see how you do data collection. It always makes me nervous to share my blog with my building colleagues, too! Many of them know about it, but I get very nervous when someone else learns about it! I just recently shared it with other special ed teachers in my district! Talk about making me nervous. It's great to hear that things are going well! I just checked out your classroom pictures & I LOVE it! It looks so great. I even pinned the picture of your library because it's awesome (and so organized, which I looove). Thanks for sharing & best of luck! At first I didn't share my blog, but a few fellow teachers found it! I now share it openly with the teachers in my district. I was unsure of whether or not to share my new blog with my colleagues, but they love Pinterest as much as I do, so it wasn't long before one of them found my blog through Pinterest. Your room is beautiful! I'm your newest follower. I have been thinking the same thing about whether or not to share my blog. I saw someone commented that they went back through and reread posts to make sure they were okay - I did the same thing! Your classroom looks SO cute by the way! My teaching partner knows about my blog bc I share things that I make with her (and it always has a link to my blog). I think one other person found out about it because she overheard us talking...but yes, I went back to old posts and reread them too! I haven't shared my mine, but I do write with the fact that somebody will find it one day! My teaching partner and I both have a blog, so it's nice to share with each other. But other than that . . . . Nope! Kind of crazy that I tell a bunch of people on the Internet stuff but not my coworkers!! I have coworkers who know I blog, but I haven't shared the actual link. BUT my principal stumbled upon it this summer and so did a friend. It felt a little weird at first, but I don't mind now. I still think I'd be too shy to share my link openly with others from school though! I don't plan on sharing mine but I did tell a close friend (who is a teacher in my building)and didn't think to tell her not to mention it. She did mention it one time but I don't think the person had a clue what that meant. It feels good to collaborate with teachers you have never met and get fresh ideas. I would not share unless they came upon it by mistake! Thanks so much for sharing your activities. They really get me thinking and creating.